Back in 2002, Donald Rumsfeld was derided for this statement, , which was widely seen to be a mangling of the English language. However, in later years the meaning of it has crystallised – Rumsfeld has even named his autobiography after the phrase, and a documentary of his life is to be released this year using this title. In my day job, we sometimes use the phrase to demonstrate the evolution of knowledge in the teaching of computing – you may not know what you need to find out, so how do you find out what you don’t know? – and I find myself thinking of it in relation to ghostly fiction. Last month, Badger and I visited Fyne Court, near Bridgwater, for an open-air screening of Julien Temple’s Pandaemonium. Fyne Court is an eerie place in itself – the former home of Andrew Crosse, the 19th Century Thunder and Lightning Man who aimed to create life through electricity, it’s an overgrown mystery of a place, with tumbledown walls and secret gardens. It was the perfect setting for Pandaemonium, the story of Samuel Taylor Coleridge’s turbulent, glittering, frustrated life. 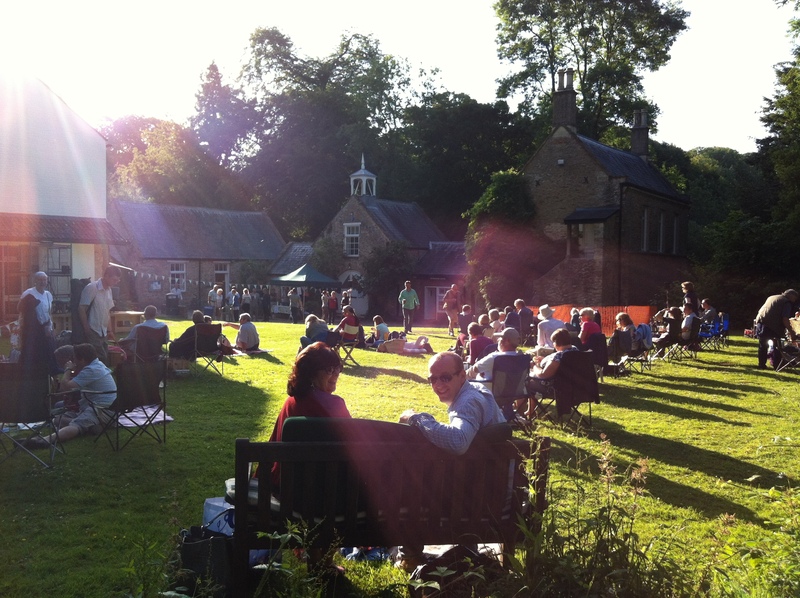 I’d never seen the film before, and under the stars at Fyne Court I was completely transfixed. It’s visually stunning, anachronistic and enthralling, and I spent the next day glued to Wikipedia, looking up all the characters and what became of them. Coleridge was a Somerset boy – nearly every day I drive past the church in Taunton where he preached for a while – so I ought to have known more of his works and life. I’m making up for that now, beginning with Christabel, his unfinished ballad about a strange, possibly demonic, woman in the woods. Where does the mystery of concealment appear in all this? In the golden days of poetry, to be a poet was to reach the pinnacle of literary achievement – the poet had to fill his mind to bursting with history, legend, myth, science, the lore of gems, plants, animals, and the heavens and encapsulate his thoughts in perfectly constructed lines. Most of us will have read Kubla Khan at some point in our schools years, and this provides the perfect entry point to understanding Coleridge’s vision. In Xanadu, he shows us a glimpse of a realm of supernatural beauty, but no more – today we’re used to immediate, constant revelation where information is pushed out to use constantly through tweets, headlines, slogans and disconnected facts. Coleridge, however, makes us, the reader, fill in the spaces between words. He suggests a depth but does not explore it for us, leaving it to the reader to imagine. He teases us with the line about a woman “wailing for her demon lover” – pleading for him? Summoning him? Wailing because she was deceived by a demon in the form of a man? We can’t say for sure, but it burns an image in our minds. There’s more to what we can know than what we can see – close your eyes, listen to Benedict Cumberbatch reading Kubla Khan and let your mind provide the images.